Some of you may not be seeing the entire newsletter. If you scroll down to the very bottom and see a message that reads "view entire message", click it and you will be able to view all the fun things happening in our area! Last Week's poll results: The results from last week's poll told us you have already adopted your chance to win $500 for River Duck Dash! Thank you for your support! Where do you go to celebrate the Fourth of July? Take the poll at the bottom of the newsletter. Please remember to always share your news with us by emailing office@bucksportbaychamber.com . 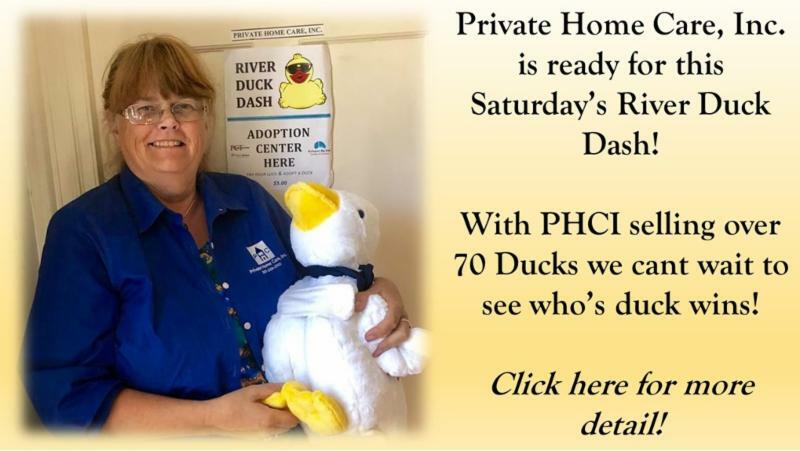 River Duck Dash at Orland River Day! Get a few ducks together and watch out! Imagine hundreds of them racing down a river towards a finish line where a crowd of people are cheering on their adopted ducks, hoping it will finish first! Saturday, June 30, 2018 during Orland River Day is our sixth River Duck Dash. Hundreds of rubber ducks are "adopted" for $5.00. When you adopt a duck you will receive your certificate with your duck number on it. Each duck has a number on the bottom that corresponds to your adoption certificate. 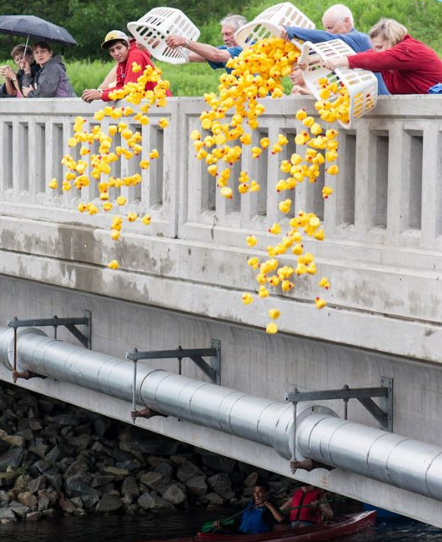 The ducks are dropped into the Narramissic River in Orland, and the first duck across the finish line wins. The grand prize is $500.00!! To encourage participation and attendees for Orland River Day, if the winner is present, you will receive a BONUS prize! Where can I adopt a duck?? 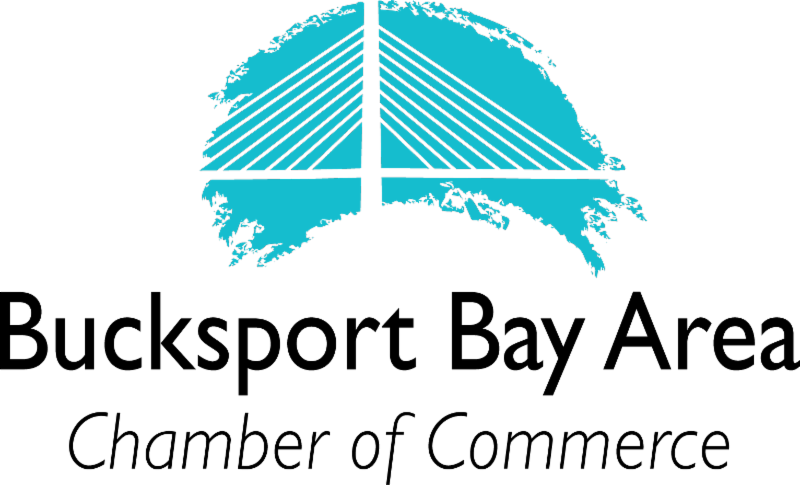 The Bucksport Bay Area Chamber of Commerce, BookStacks, Huckleberries Card & Gift, Lighthouse Arts Center, RSU 25 Adult & Community Education, Seaboard Federal Credit Union (Bucksport Location), Private Home Care, The Local Variety, and Blossoms By the Bay. 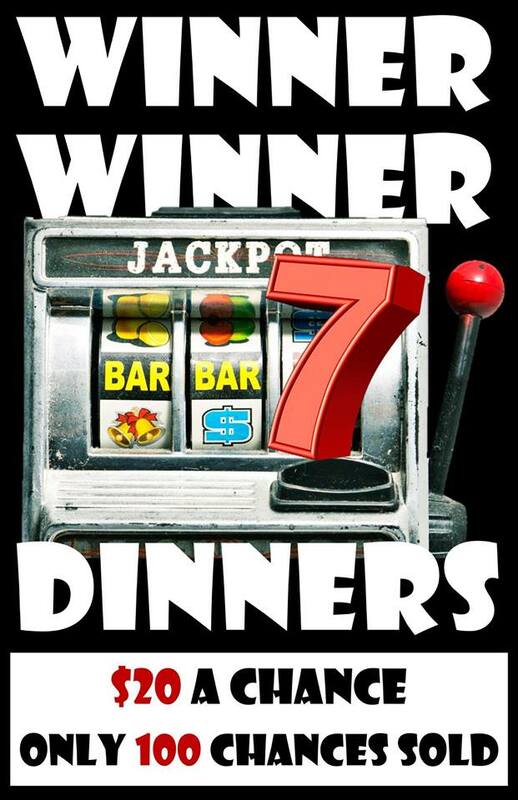 Winner Winner 7 Dinners on sale NOW! June 28 and every other Thursday morning from 7:30am to 10am Jenn will be available for a Q&A. 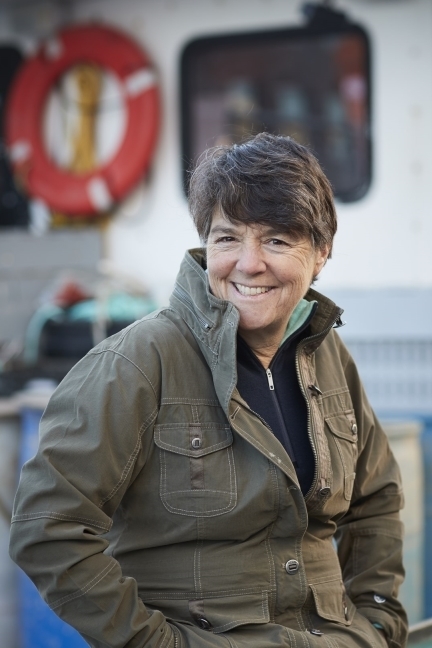 Do you have questions about land-based aquaculture? Come ask a scientist! 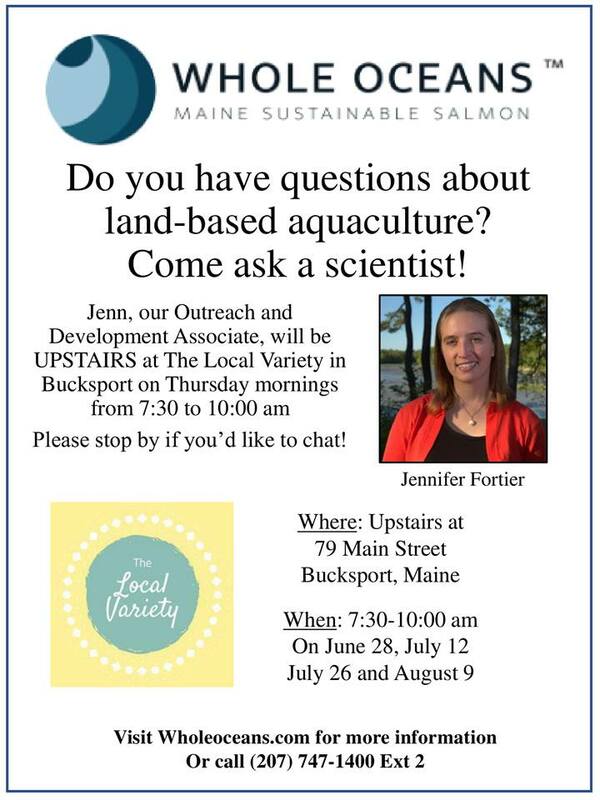 Jennifer Fortier, our Outreach & Development Associate, will be UPSTAIRS at The Local Variety in Bucksport every other Thursday morning this summer. Stop by for a chat! We are also interested in learning what kinds of questions the public has so we can provide detailed more information to you in the future. 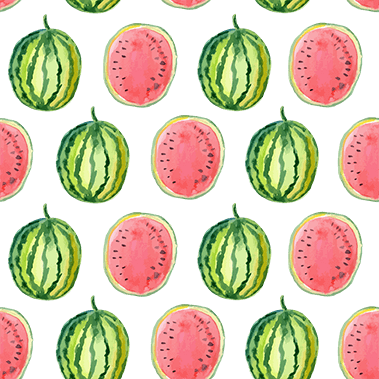 Stock up on summer food essentials, like mustard, relish, barbecue sauces, dips, drink mixes, aioli, and marinated vegetables. 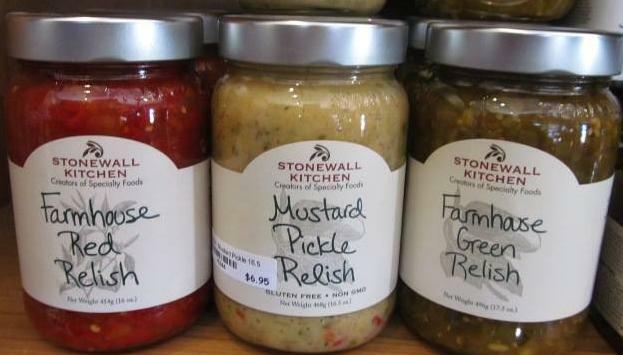 Take $2 off our Stonewall Kitchen products which are $6.50 and over. Raye's Mustards are 20% off. Are you ready for summer vacation and 4th of July celebrations which is next week? We can help! 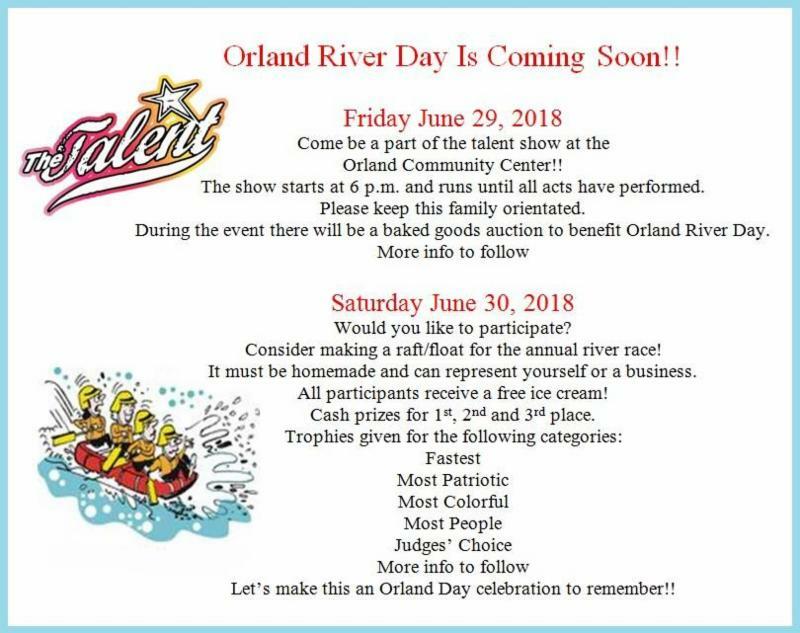 Orland River Day is a town celebration held each year on the last Saturday in June (rain or shine) - June 30, 2018 complete with a parade, food, crafts, a "Downeast" raft race, talent show, Castine Kayak's Rescue & Rolling Demonstration, Alewife Run, and many other activities. *Closed captioning will be offered for session 2 only. Continuing education credit will not be offered. Users can also use IRS2Go to create login security codes for certain IRS online services. The app is available in both English and Spanish. 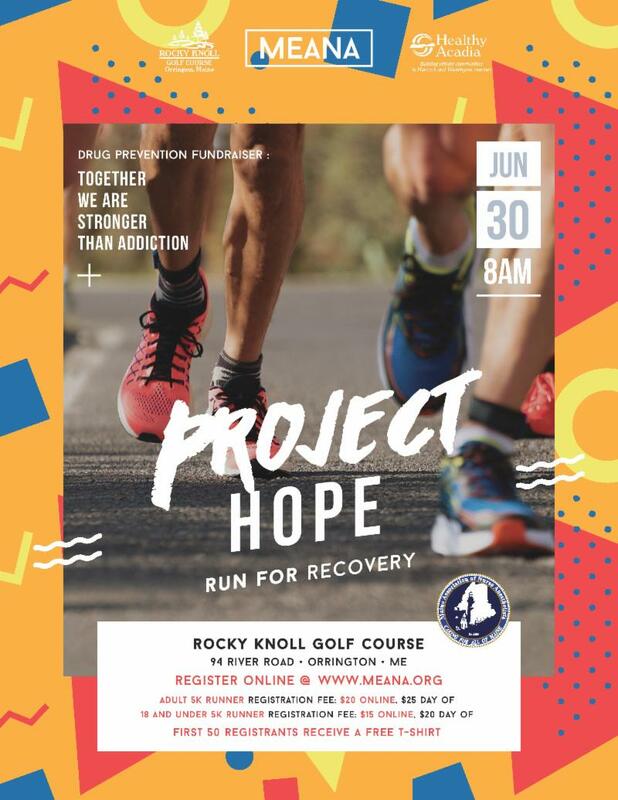 On Saturday, June 30, 2018, the Maine Association of Nurse Anesthetists (MeANA), Rocky Knoll Golf Course, and Healthy Acadia will host “Run for Recovery – Swing for Success” at Rocky Knoll Golf Course, 14 River Road, Orrington. The full-day event includes the 5K Run for Recovery at 9am, lunch hosted by Uno Pizzeria and Grill, and the Swing for Success Golf Tournament with tee-off at 1pm. All registration proceeds from this event will support Downeast Project HOPE. Downeast Project HOPE, serving Washington and Hancock counties, provides a strong support system for opioid and other substance addiction disorders, connecting individuals seeking recovery to appropriate treatment options and community resources. Downeast Project HOPE collaborates with regional hospitals and participating police departments by sharing monies and other resources. To learn more and to register for either event – or both! 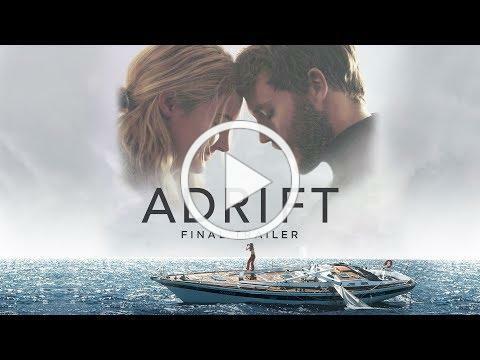 – click here. If you cannot attend and would like to support Downeast Project HOPE, please visit www.meana.org or www.healthyacadia.org/donate to donate. 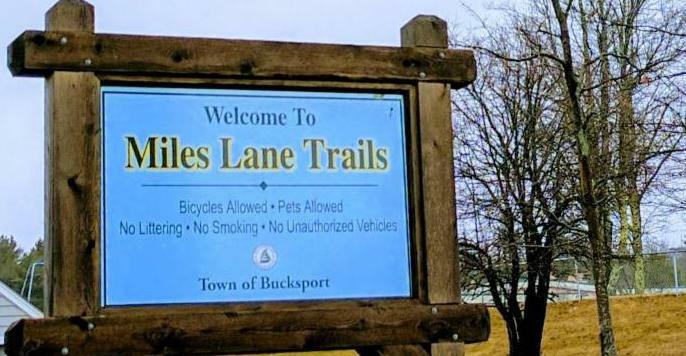 Starting Sunday July 15, our resident Wildlands expert Sarah LeVine will lead several moderate Sunday hikes in the Wildlands and in GPMCT's beautiful new property, the Chapman Farm in North Bucksport. The Trust is Celebrating 25 years of Conservation 1993 - 2018, Thursday, August 16, 2018 in the Great Meadow* in the Wildlands, Orland Maine – 4:00 PM. No RSVP required. Joe Meltreder of Bagaduce Forge returns again this summer to ply his trade in The Village Blacksmith shop on Wednesdays and Sundays (2 - 5 p.m.) in July and August. Though not a copy of any particular blacksmith shop, this working smithy is built as one would have been around 1860. The nucleus of the smith's tools came from the old Ginn's Blacksmith Shop in Orland. Also returning is Temple Blackwood of Highlands Woodturning, a local woodturner with four decades of commercial woodturning and teaching experience. He will demonstrate his craft and offer some of his turnings for sale on Wednesdays and Sundays (2 - 5 p.m.) in July and August. New this summer - a skiff building demonstration. Join David Wyman, Don Small and others as they construct a David Wyman designed, flat-bottom skiff in the newly constructed Maritime Display area on Wednesdays and Sundays during July and August from 2 - 5 p.m. Lend a hand or enjoy watching. You could be the lucky person to take it home. Raffle tickets will be sold with drawing to be held in the fall. Proceeds will allow the Museum to purchase materials for next year's boat. A perennial favorite, the kitchen of the John Perkins House will be the venue for fireside cooking demonstrations on three special Wednesdays: July 11, July 25, and August 15. 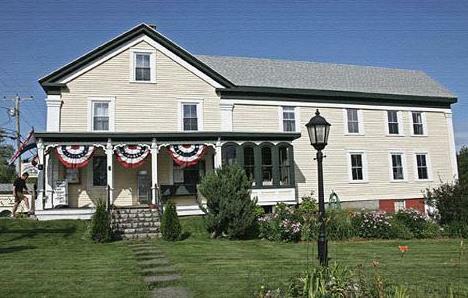 Guided tours of this historic home begin on the hour ( 2, 3 & 4 p.m.) and the charge is $5.00 per person. Tour visitors may enjoy some tasty morsels from the day's fare. Nothing whets the appetite like an ocean breeze with the fragrance of wood smoke and baking bread wafting through the air. Visit the back yard of the John Perkins House from 11 a.m. to 1 p.m. on three special Mondays, July 16, July 30 and August 20 as Director Patty Hutchins cooks up some treats using the outdoor bake oven, the fire pit, or a combination of the two. Outdoor cooking tips are free of charge with impartial taste-testers always available. Colson and Michele Mann of Bangor Savings Bank recently toured the Historical Society’s new exhibit. 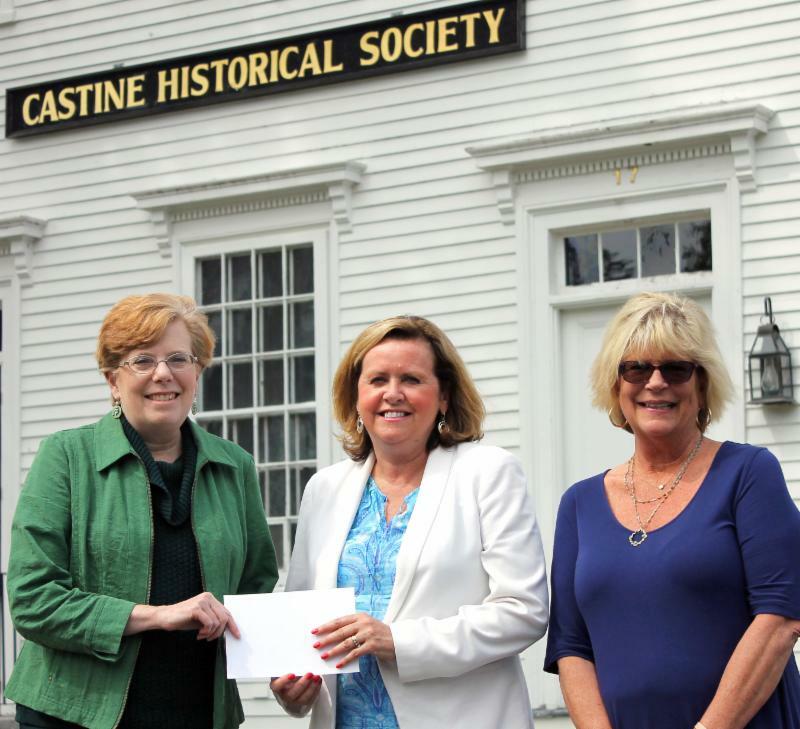 Thanks to a $5,000 sponsorship from Bangor Savings Bank, the Castine Historical Society opened its 2018 season exhibit on June 11th. The new exhibit, Castine’s Devoted Women: Public Service and Social Change, will be on view through Columbus Day. 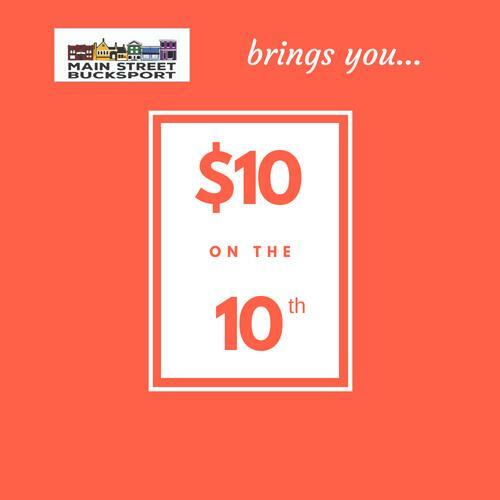 10 on the 10th is a new initiative brought to you by Main Street Bucksport. It's simple! 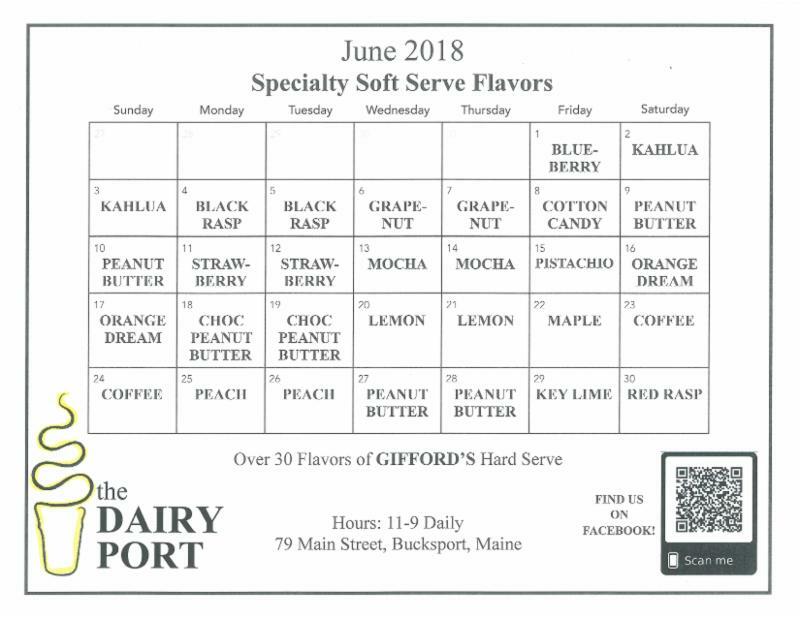 Each month beginning this July, Main Street Bucksport will encourage people to spend at least $10 in downtown Bucksport. We will place an ad in the local paper and promote the event online. In the next week, we'll be out dropping off small signs with the logo and ask you display it on the 10th of each month is your window or somewhere in your business. 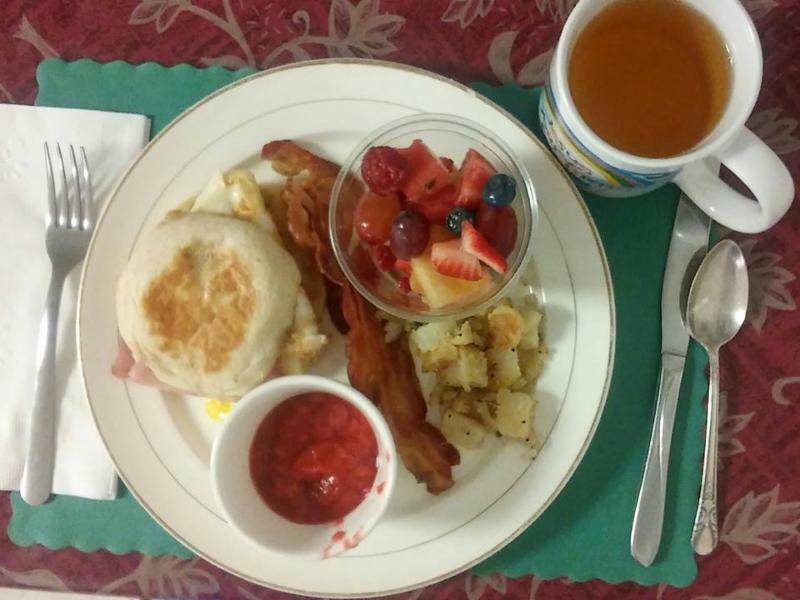 The Bucksport United Methodist Church, at 71 Franklin Street, Bucksport, will host a Public Breakfast Buffet on Saturday, July 14th, from 6:30 a.m. until 9:30 a.m. This All-You-Care-To-Eat meal features many delicious entrees, beverages and homemade baked goods. The cost is $8 for adults, $4 for children, and $25 for a family of four or more. For more information, please call the church office at 469-3622, or Ed Petravicz at 469-9979. 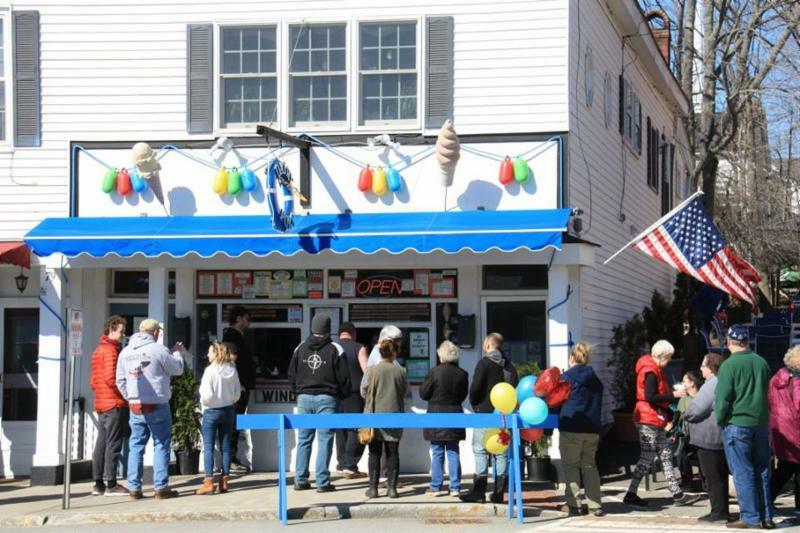 Kids on Main: Books and Ice Cream! Every Saturday from June 23 until August 18. 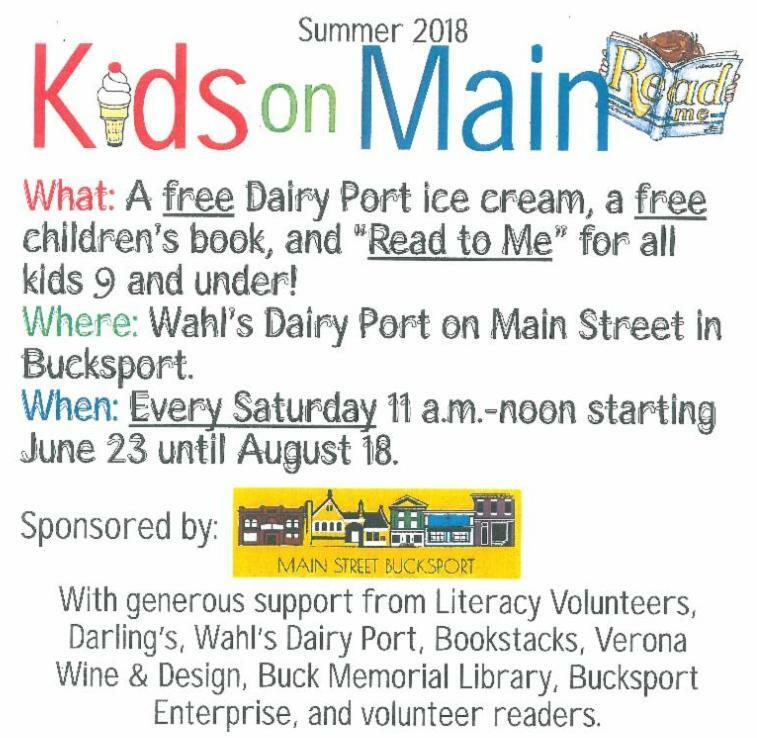 Children are invited to downtown Bucksport this summer on Saturdays from 11am-12pm to hear a story read by a community volunteer in the alley next to Wahl's Dairy Port. Children who attend will receive a free book courtesy Literacy Volunteers of Bangor and a coupon for a free ice cream courtesy Wahl's Dairy Port. This event is sponsored by Main Street Bucksport, Literacy Volunteers, Wahl's Dairy Port, and BookStacks. Community volunteer readers are still needed for a few Saturdays. If you're interested, contact Brook at 479-3933. 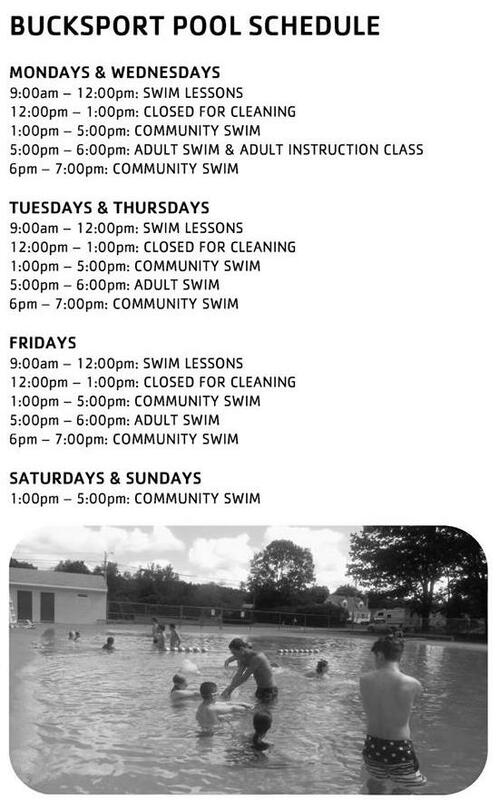 Click here to see all the programs and activities happening at the Bucksport YMCA this summer! Blossoms By The Bay announces their “Steal your vase Thursday's” starting the first week in July! 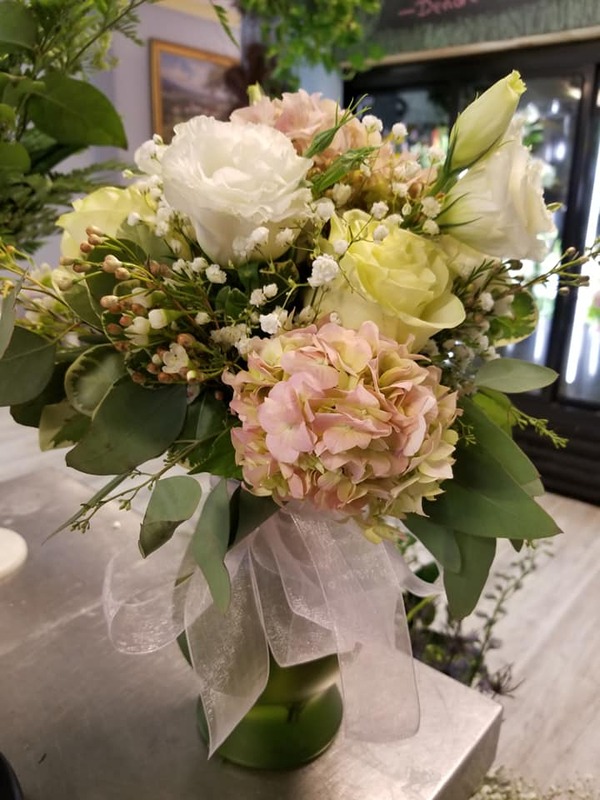 Bring your vase in and fill it with a 19.99 bouquet! 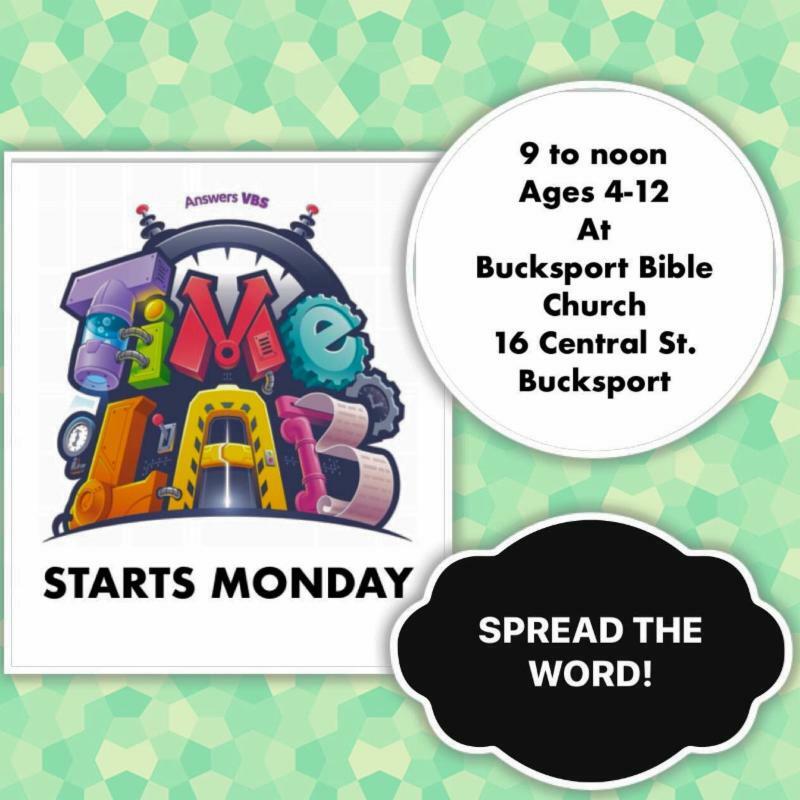 School is out and Vacation Bible School started Monday! Games, crafts, snacks, songs and Bible lessons. There’s always room for more! 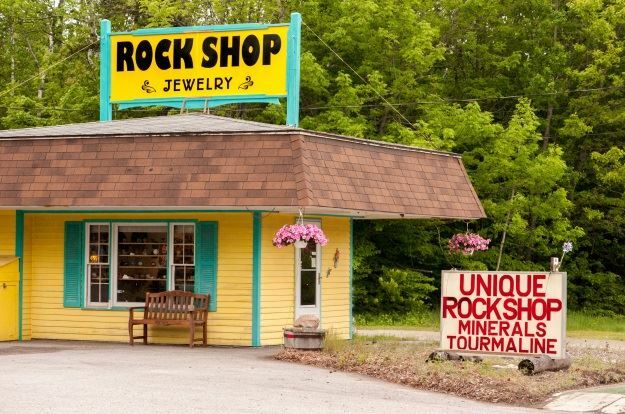 Be sure to stop over on Verona and crack a geode or find a special treasure! The Friday Night Supper Club of the Stockton Springs Community Library will host the 3rd Annual Kitchen to Table International Buffet at the library on Saturday, July 14th starting at 6 pm. For the third year, this past winter and spring gourmet Chef Jerry Dunn led a cookbook club at the Stockton Springs Community Library that became known as the Friday Night Supper Club. 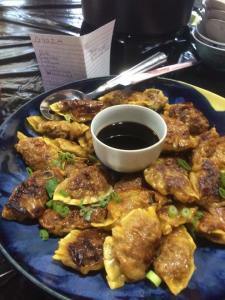 We invited daring and innovative cooks to challenge themselves to prepare international cuisine from cookbooks that reflected unique regional and healthy dishes as well as regional culture. The supper club members volunteered to produce a third international buffet to benefit the library. The buffet will include: appetizers, soup, entrees, vegetables and dessert and will feature a variety of dishes from around the world. Tickets are $35. The event is BYOB. Tickets will be available for advance purchase at the library during open hours beginning June 18th. Library hours are Monday 3 – 5 pm, Tuesday 4 – 7 pm, Wednesday 3 – 5 pm, Thursday 9 am – Noon and 6:30 – 8:30 pm, and Saturday 9 am – 3 pm. For more information visit www.stocktonspringslibrary.org or call 567-4147. You're invited to the fourth annual Bastille Day Celebration on Saturday, July 14th. You and your family will learn the art of French-Acadian cooking during the noontime chef’s demonstration of cooking ploys and beignets with fresh Maine lobster. For the more adventurous, kayaking and historic walking tours will get you moving or, later in the afternoon, climb the 52 steps to the top of lighthouse and don’t forget your camera! Immerse yourself in our International lecture series at Emerson Hall on Court Street, including Canadian filmmaker Roger Cantin and producer Alain Dagenais speaking on their Baron d’ St-Castin documentary and why he is not an historical figure in Canada. Then educator Todd Nelson will tell the story of our children’s rich French Exchange Program with St-Castin, FR which began in 2008. Have lunch at one of our many fine restaurants and watch the Maine Maritime Academy Training Ship return from its visit at European ports. 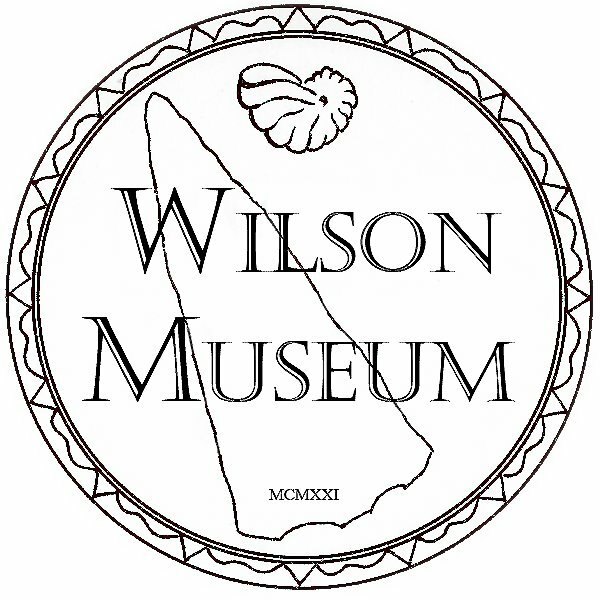 And in the afternoon at the Wilson Museum, bring your children to Painting with the French Masters, then enjoy hand cranked ice cream/toppings and a serenade by world-class fiddler Gus LaCasse. At our signature event, the Picnic en Blanc, 400 white-clad festival goers will be seated at long white tables, under the elms on Court Street, while listening to French folk music and watching a magician and stilt walker. Order your special meals from MarKel’s or The Manor, or simple bring your own French picnic. And stop by Town Hall during the day to bid on a Josh Adam original Bastille Day “Picnic en Blanc” painting (24”x36”) or one of five artist prints. Winners will be announced at the Picnic! Finish your evening with a concert featuring the Bangor Symphony Brass Quartet on our historic Town Common. Strawberry shortcake with whipped cream will be available. For more information on the day’s events or to make your reservation for the Picnic en Blanc, call Town Hall @ 326-4502 or visitcastine.com. *All events are provided for free through the generosity of our sponsors. Castine Kayak does charge for their scheduled tours. It’s time to reserve your space for the giant yard sale in Stockton Springs coming September 8th! Stockton Springs Community Library (SSCL) will host the 3rd annual GREAT EVENT on Saturday, September 8th and space rentals for the Giant Yard Sale have begun. Mark your calendars and SAVE THE DATE for the Giant Yard Sale, Barbecue, Bake Sale, Homemade donuts, Children’s Events, and much more! The town of Stockton Springs will once again be filled with festivities on Saturday, September 8th and everyone is invited to join in the celebration to be held on the grounds of the library and the Stockton Springs Town Office. Last year’s event was a great success and we expect that all 25 of the spaces will be rented, so sign up early. Rental of space at the Giant Yard Sale has begun. Crafters are also welcome. Spaces are approximately 10’ x 15’. Cost is $35, $30 if reserved before July 1st. You may bring your own table or you can rent a table for an extra $5. The GREAT EVENT will happen rain or shine. 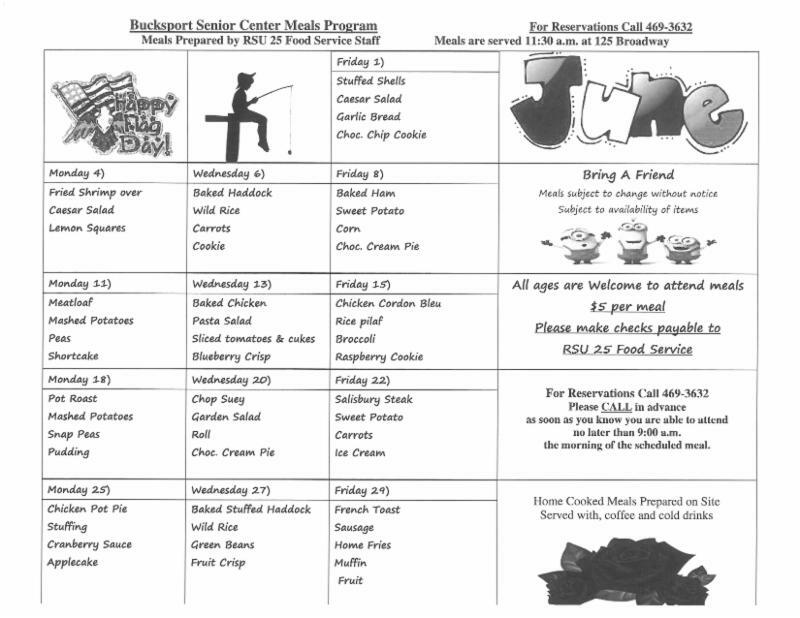 To reserve your space you must fill out an application and pay in advance either by check or cash. Come to the library during open hours to pick up an application. Library hours are Monday 3:00 – 5:00 pm, Tuesday 4:00 – 7:00 pm, Wednesday 3:00 – 5:00 pm, Thursday 9:00 am – Noon and 6:30 – 8:30 pm, and Saturday 9:00 am – 3:00 pm. For more information call 567-4147 or visit www.stocktonspringslibrary.org. This fun family event is always chock full of good bargains, great food, entertainment for the kiddies, community spirit, and much, much more, so circle September 8th on your calendar and we’ll see you in Stockton Springs for The GREAT EVENT!